Whitby Galleries in Whitby, North Yorkshire is the only brick and mortar store that is licenced to sell my original artwork. It's also 'the' place to go to if you especially like cats! Each illustration measures approx. 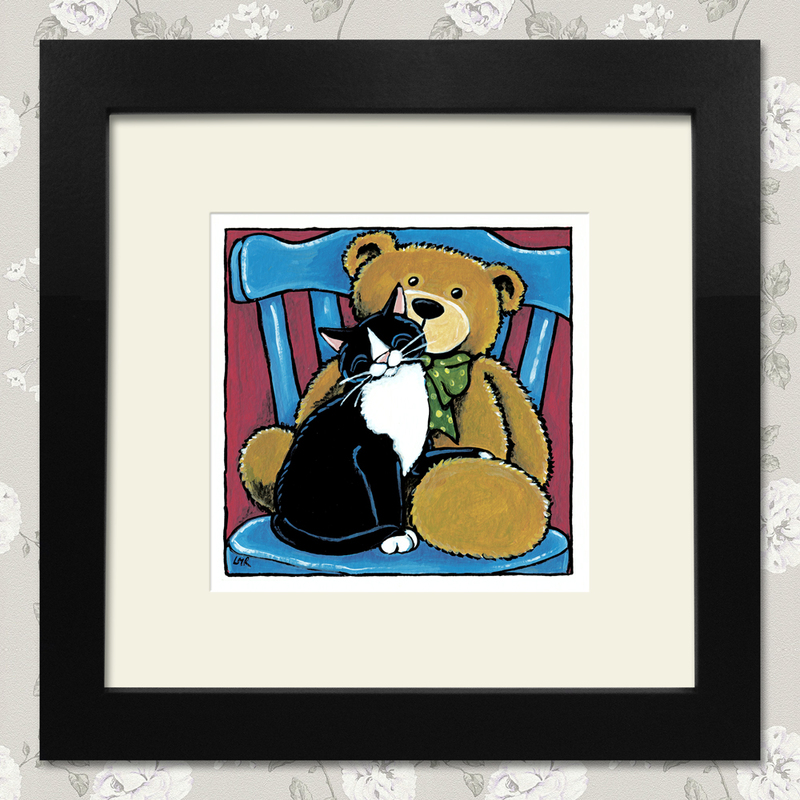 5″ x 5″ (not including it’s frame) so they are perfect for homes that have limited wall space. New pieces arrive at Whitby Galleries on an almost monthly basis so you better be quick to snag your favourites! I always post a sneak peek of new work before they arrive so be sure to check my blog. Please note: Image shown below is a digital representation. Actual frame and mount style may differ slightly from that shown.